The past decade of my life has been driven by a need to control. It started in my late teenage years when I felt like nothing in my life was going the way I wanted it to… until I discovered I was quite good at managing my weight. A downward spiral led to a diagnosis of anorexia nervosa and eventually hospitalization. After recovering, I developed another condition that has served to remind me of the damage I did to my body every day. For the past six years eating has caused me pain, and I have lived in a constant cycle of trepidation and defeat. I’ve been left feeling powerless and unable to fully participate in relationships, jobs, social activities, and life itself. Intent on getting my life “back on track” I have been driven by determination to cure the condition. I’ve felt like the quality of my life depended on it. This focus and drive saw me think about every thing I put in my body, invest thousands of dollars in various specialist appointments and spend countless hours obsessively conducting my own research. Despite this, the condition has not been diagnosed or treated effectively. Not long ago I reconsidered my approach, and my mentality began to change. Particularly, while considering that the past decade of my life had solely been driven by control of my weight and then control of my digestion, what I needed to do suddenly became so clear. Rather than fighting with my body, I needed to work with it. To listen to it. To respect it. And since doing so, my condition has improved exponentially. My journey was born from the belief that controlling each aspect of my life meant truth, happiness and “success.” I now consider control to be toxic and the cause of an insurmountable amount of stress and pressure we each place on ourselves. I questioned my incessant need for control, and realized my tendency to get so caught up in controlling something that rather than me controlling it, it in fact controlled me. We are primed to control. What and how we learn in school is fixed and regimented, requiring we hold certain knowledge to obtain certain grades. We are told to decide on a career and plan clear, structured steps to get there – and stay there. It is even ingrained in us from a young age to control our entire life progression: school, career, house, family, retirement. It makes me truly sad that so many strive for this exact path. It’s a common societal view that these things signify that you are in control of your life, but really, I say it’s the complete opposite. These expectations have controlled you. And by being controlled, you have not been free to make decisions based on your true values and desires. No wonder the quarter-life crisis exists. Control resists what is. It resists freedom. It resists openness to the universe and all of its possibilities, and to receiving these possibilities. It lights one path while casting a shadow over a million others. Control legitimately blocks life from flowing through you. So how do we release control? Here are three pieces of advice I can give based on my own experience. Take a breath. If you’re stressing out because you don’t know what to wear, reflect. We worry so much about how we are perceived physically that we forget true connection (which is what we all seek on some level) is made mind to mind, heart to heart, soul to soul. These are things that truly matter. And these are things you can never control – they are you. If you’re not getting enough rest because you’re trying to fit so many things you “need” to do into your day, reflect. Ask yourself – how many of these things are truly necessary? How many of these things are ego driven? Do I really need to wake up at 5am to go to the gym or am I going in response to my fear of not fitting the summer body paradigm? Am I working 60 hour weeks because it brings me a sense of fulfillment, or because I’m striving to meet expectations set by others or myself? Ask yourself if you’re actually happy in your current routine. And re-think routine all together. We are constantly evolving and that is a damn beautiful thing. How can we tell ourselves that doing the same thing in the same manner every day will bring us the same continuous level of contentment? Routine discourages us from tapping into how we actually feel in each moment, and giving ourselves what we genuinely need or desire. Try something different for breakfast. Take a different route to work. Stay up half an hour later than usual to read some of that book that’s collecting dust on your bedside table. Switch off the TV and call a friend you’ve been out of touch with. Be spontaneous and even a bit rebellious. Ignore what you should be doing and ask what you could be doing. By changing things up, you open doors to more possibilities in your life. And let’s be honest, more excitement too. Be aware of the origins of the pressures you place on yourself. Is your drive to look a certain way derived from flawless images you see on Instagram? Are you sacrificing the trip to Mexico you’ve craved your whole life for the sake of saving for a house because you’re approaching 30 and that’s the “natural” next step? Does a spotless house that looks like it could be in a magazine signify maturity and success or an egotistical desire for materialistic dominance? Think about when you have been driving somewhere and running late. Suddenly everyone else on the road is driving badly. You get frustrated by minor occurrences such as a red traffic light, and you’re constantly checking the time and swear to god it is running faster than usual. In your mind you’re predicting the future; how people will react when you’re late, how you’re going to apologize, what people will think of you. Compare that to when you’ve been on a relaxing drive. You’re more lenient to other drivers. You don’t mind stopping at a red light, because you’re enjoying listening to your favorite music. You might even take a detour to pass the ocean or a park, or to simply explore a street you’ve never been down. Time is irrelevant. You’re not thinking about your destination because you’re in that present moment, simply enjoying the drive. This is the difference between the pressure of control and allowing your life to flow. One is filled with constant over-thinking, stress and self-pity while the other brings with it a sense of calm, possibility and insatiable curiosity. Take a step back and assess what is controlling you in this moment, and why. Release the grips of control and welcome flow with open, loving arms. Find calmness and relish your incredibly beautiful, crazy life. Tessa is a writer from Perth, Australia. 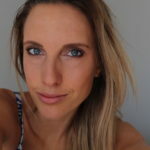 After suffering with anorexia, mental illness and debilitating gut problems for a decade, she conveys the lessons she has learnt with the intent of encouraging others to consider how they can live their life in a more authentic and peaceful way. Tessa swims in the ocean and walks amongst trees as often as she can.